Xbox gift card 20 Euro This product is a digital code, once bought, the code will be sent to your email or can be downloaded directly from your screen. These codes are original and produced by the developer.These codes have no expiry date. If you regularly make purchases on the Xbox Marketplace, it is handy to have a good amount of credit on your Xbox Live account. 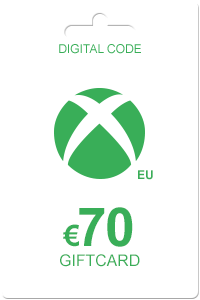 This can be done using the Xbox Gift Card 20 Euro, making it unnecessary to buy cards with a lower credit value. When having a high amount of credit on your account, you will not hit by any nasty surprises. You will always be able to buy the content you want to have. At the Xbox Marketplace, you will find various kinds of content such as music, series, Xbox games, movies and game expansions. The advantage of the Xbox Live credit is no longer having to pay with your credit card and being able to use the content your purchase right away! At Livecards.eu, we offer gift cards with many different amounts of credit, like the Xbox Gift Card 150 euro and the Xbox Gift Card 200 euro. Use the gift cards to upgrade your credit, or give it as a present! To order Xbox Gift Card 20 Euro, you fill in your personal information and pay with the payment method you desire. After payment the code appears on your screen and is sent to your email. Redeem this code on your xbox console or on the Xbox website to deposit the credits. You are able to purchase content right away! 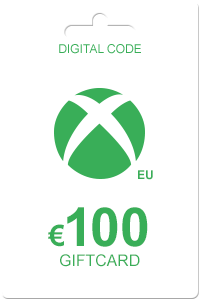 How to buy Xbox Gift Card 20 Euro? Buying Xbox Gift Card 20 Euro from Livecards.eu is as easy as 1 2 3! Simply fill in your email address, select a payment method and complete the payment! We have some of the cheapest Xbox Gift Card 20 Euro on the market.